With over four and a half million inhabitants, your stay with the Turkmen comes guaranteed to bring you a host of new friends and acquaintances. With various nationalities thrown into the mix such as the Uzbeks, Kazakhs, Russians, Armenians and others, you have available a variety of characters and personalities in one of the most hospitable places in the world. Enter a home to find large families composed of many beautiful children that grow up tall, with wise and high foreheads and dark, exotic features. Find your oasis in the land of bright, hand-woven silks, majestic horses that are said to be as fast as the sun, and hundreds of monuments that are the testimony to the vibrant culture and age-old charms of Turkmenistan. Also called Turkmenia, it is a country of contrasts where you can enjoy a paperback on a deck while sunbathing beside the Caspian Sea one moment, and then find yourself contemplating the vastness of the universe the next moment as you ride through deserts on horseback. 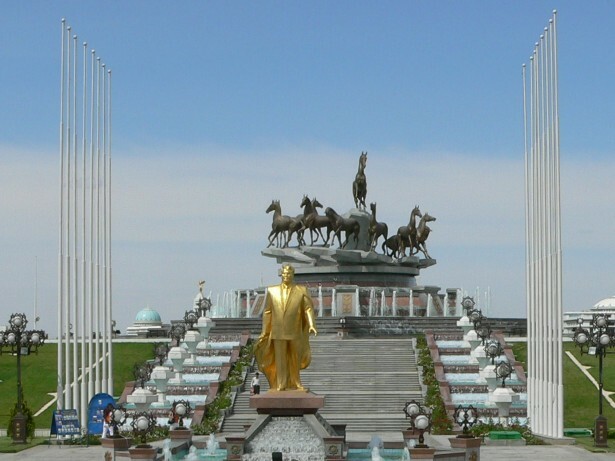 In Turkmenistan, it is all in store for you. 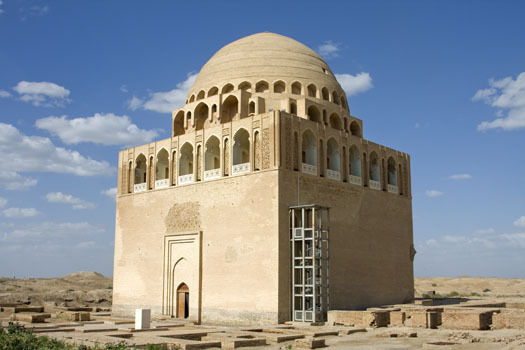 If you need an escape from the frantic pace of modern living, savor the best of Asian living in Turkmenistan. Turkmenistan is an oasis where the weary soul can take time to breathe. Surrounded by Kazakhstan, Uzbekistan, Iran, and Afghanistan, and gently lapped by the warm waters of the Caspian Sea on one side, Turkmenistan remains one of Central Asia’s gems whose desert plains are decorated with grand mountains and oases where world-renowned honey-sweet melons grow and which have been traded since antiquity. Like other Asian countries, Turkmenistan is home to a wide variety of fruits and vegetables that lead to an interesting cuisine. The riches of the earth are also manifest in mineral resources such as oil, gas, potash and rock salts, as well as many other rare earth metals. If you think you have already seen your fair share of nature in your past vacations and travels, think again. Turkmenistan offers landscapes that seem straight out of the Divine’s imagination. Check out lush clearings on top of high mountains, or peer into deep crevices and rock formations to feel the mysteries of geology, or prepare to get wet in adventure-filled underground lakes. 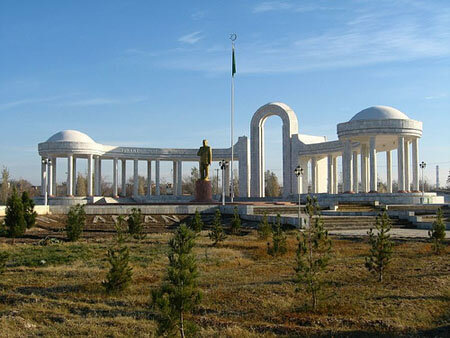 It doesn’t matter which among the many starting points you may choose to begin your Turkmenistan adventure. The country is generously dotted with landmarks and scenery that come unmatched up to today. 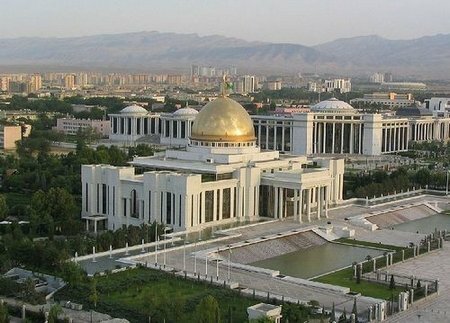 You can begin at the capital, Ashgabat, which translates to “the city of love,” which, like any love story, was built after the pains and trials of the colonial war against Russia, culminating in the fall of the Geoek-Tepe fortress and leading to the present freedom of the Turkmen. Now, picturesque gardens are placed strategically through out this valley city, keeping guest and citizen alike always aware of the love which built the city. You can also visit the oasis known as "Mary" in the center of the enormous Kara Kum Desert. Once a military administrative center for the Russians, it is now famous for its History Museum that is a treasure trove of artifacts and relics of the past that have shaped Turkmen nationalism. In Ashkabad, enjoy affordable discotheques and modern clubs where you can enjoy an ice-cold drink to ease the warm nights, while enjoying the company of hip, young Turkmen. For those who want to discover the culturati, Ashgabat has ballet theater and operas where you can watch Russian and European works. Many restaurants are also available where you can enjoy the night with good food and fine drinks. Like many Asian countries, Turkmenistan offers not simply diverse culture, but a rich history as only the Orient can provide. Agriculture as well as animal husbandry was first practiced in Turkmenistan, and in Ashgabat, the capital of the country, the oldest agricultural communities were once situated. 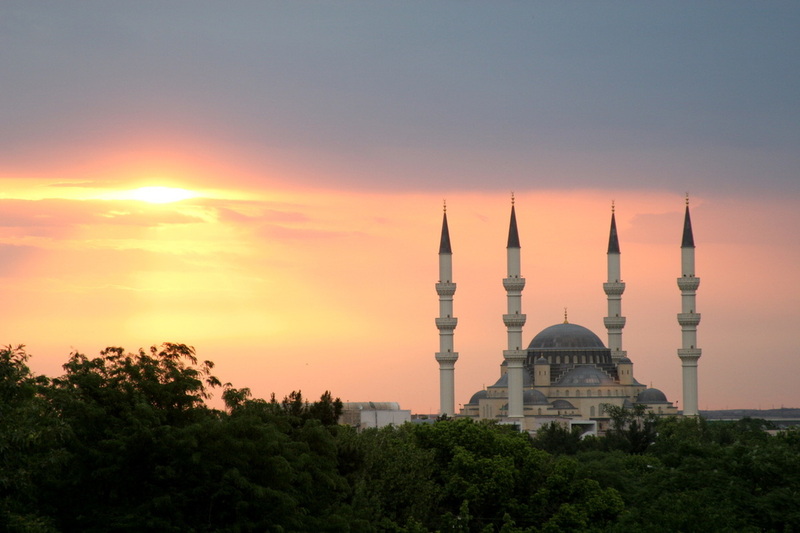 Ancient civilizations have helped in shaping the authentic culture of the Turkmen. From the Persians was Alexander the Great who conquered the great ancient cities. Trading caravans worked their way into the heart of the country and made it one of the major stops along the famous Silk Road. The country has also experienced its own share of geopolitical conflict in the past with the Persian shah Khiva khan and the Bukhara emir dividing the land. When ideas of socialism erupted throughout the world, it was also influenced to ally itself for a time with the Soviet Union. Today, it is a beautiful republic filled with intricate architecture, many verdant parks adorned with enormous statues and sculptures, and oases that bring back old-world charms and dreams of Arabian nights. Among the traditional heritage of the Turkmen is unparalleled hospitality that has sprung out of the lessons learned throughout history. A nomadic people, especially in the face of ancient invaders, had nobody to turn to except others. Even in modern Turkmenistan, you cannot find a home that will not welcome you with such warmth and joy, where each guest is treated as if sent by the deities themselves. The Turkmen have also maintained their family-oriented culture by teaching children early on about the value of parents. In turn, Turkmen are among the most protective and caring parents that you can find. While living in the paradise-on-earth oasis, you will discover a morally-upright and friendly people to complement the lovely landscape. While Turkmen culture will fascinate the mind’s eye and the landmarks are visually stunning, those who want to pamper their palates also have a treat in store for them in Turkmenistan. Affordable and sensibly cooked meals are on the menu to warm the spirit as much as to satiate the stomach. Try a filling meal of lamb, rice, carrots, and onion called pilav, which is the most popular dish, or the chorek, bread whose baking constitutes an art itself for the Turkmen. If you want more than just meat and vegetables, seafood is always an option, fresh from the blue shores of the Caspian Sea.